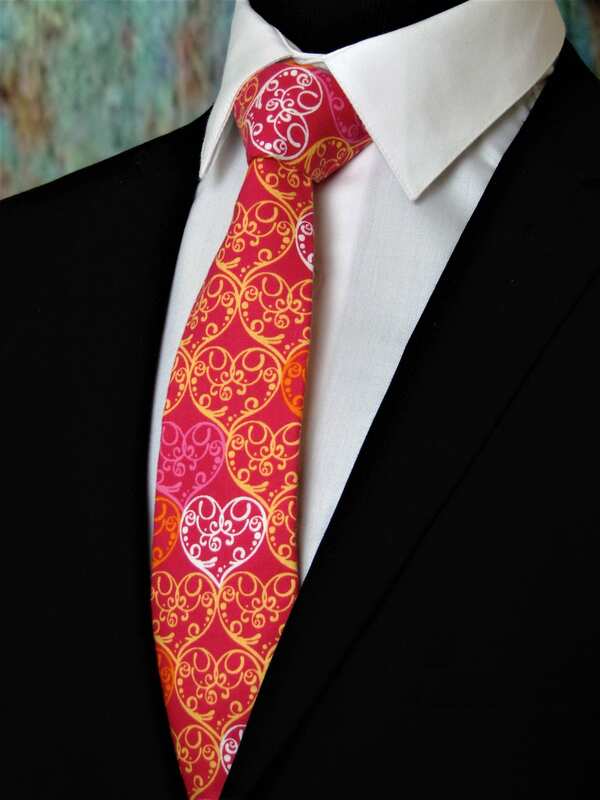 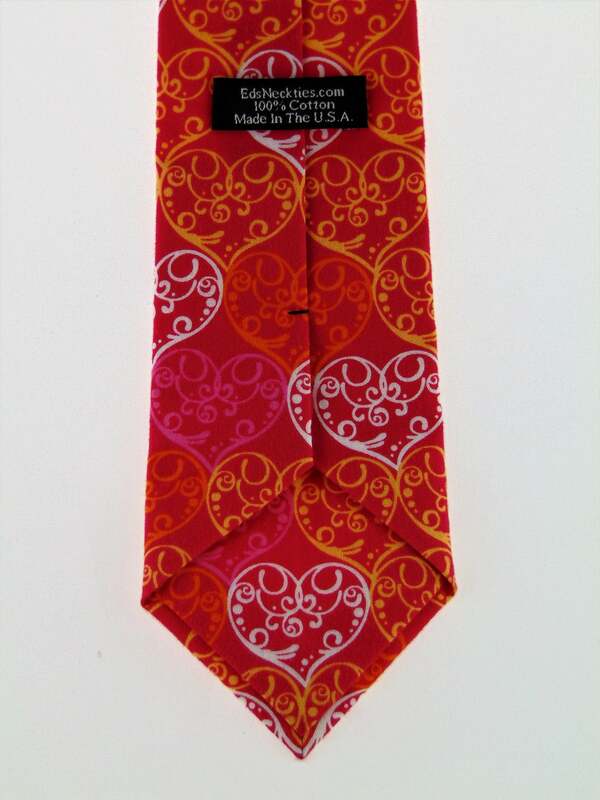 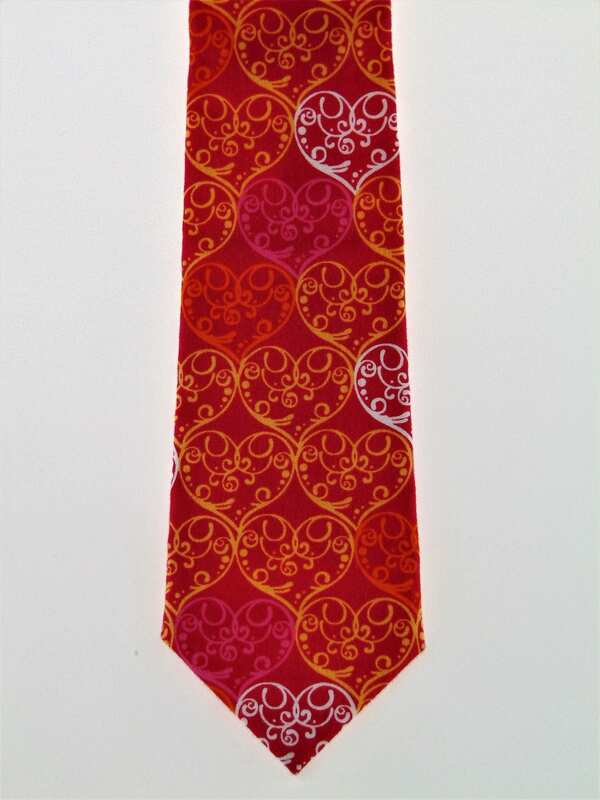 Valentines Day Gift – Mens Pink with Yellow White and Light Pink Hearts Necktie, Also Available as a Skinny Tie. 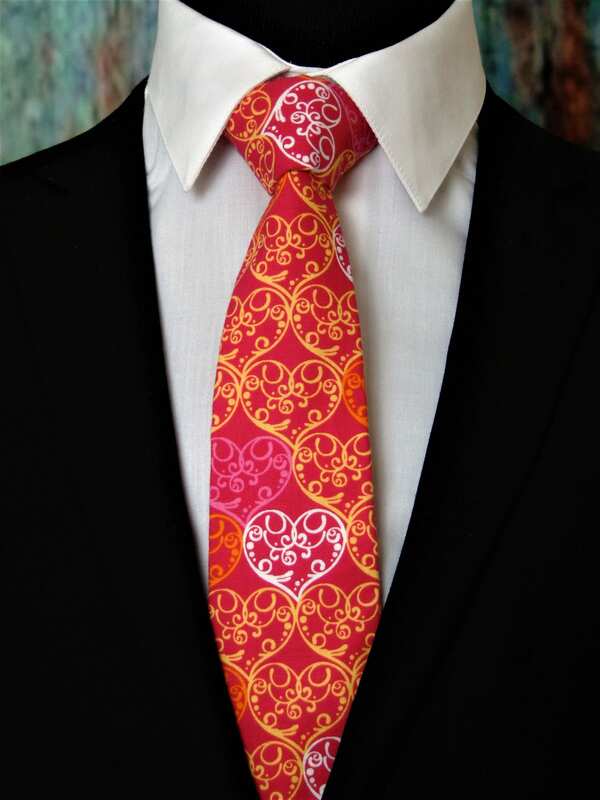 Men's Valentines Day Necktie. 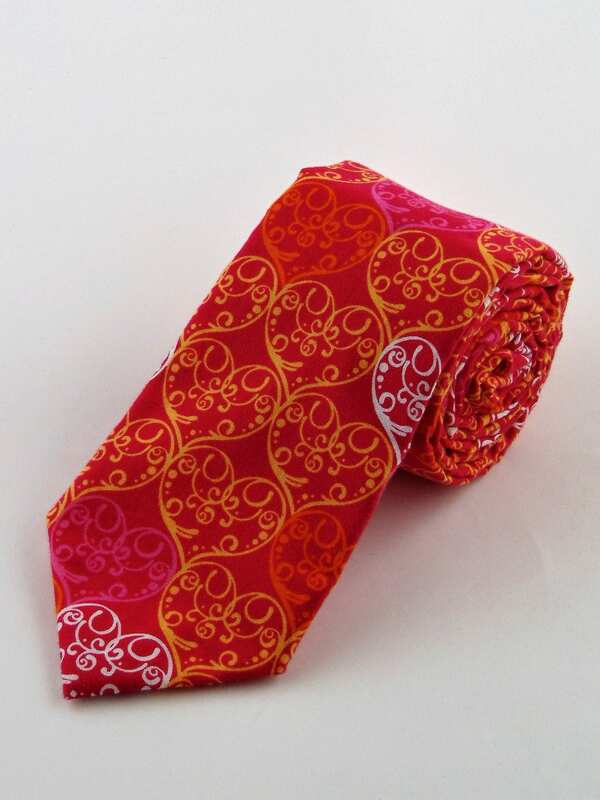 Features pink background with yellow and white hearts.